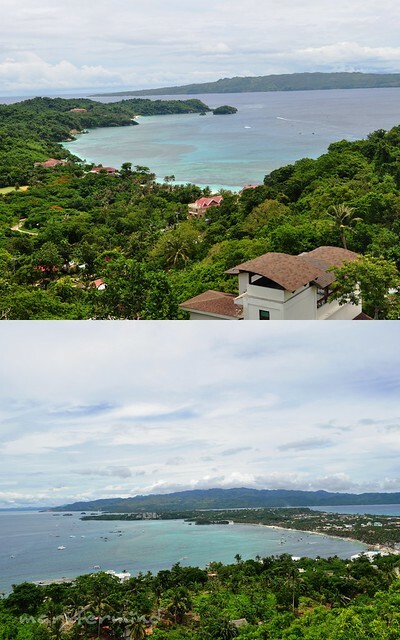 Boracay is not just beach and party, Boracay has also something to offer in terms of adventure. 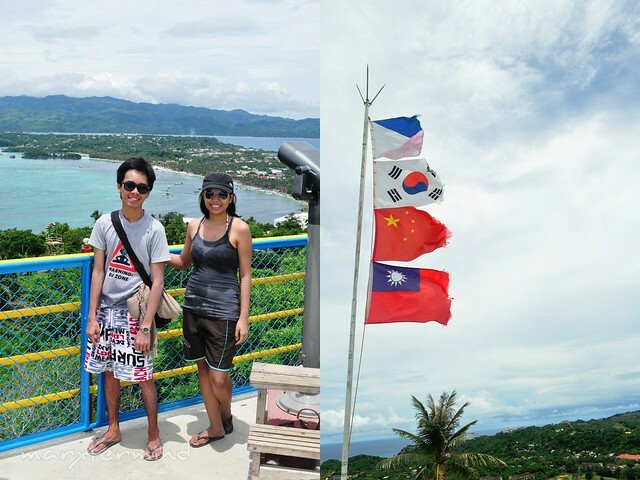 Some of the activities that we tried are para sailing, reef walking and ATV ride. I’ve read online that the best to contact for para sailing is Diamond Water Sports, good thing it’s on our way to Jonah’s Fruit Shake store. We made our reservation at 5:00 PM for para sailing. 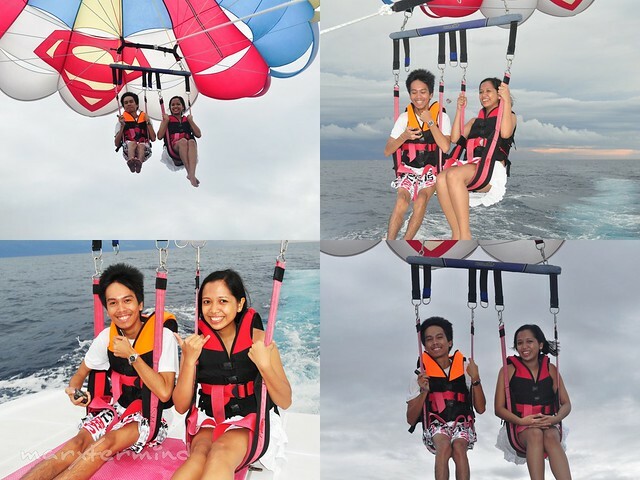 Surprisingly, the rate per person is PHP 1,700 (by 2’s or 3’s) and PHP 2,000 for solo, for 15 minutes of para sailing. But we got it for PHP 1,500 each because they have 10 % promo discount that day (or for off peak season). Staff was too frantic while putting the harness in our body. Nagmamadali lang? That make us feel tizzy… but when we took off from the ground, we got excited. The weather was gloomy, it was windy. I brought my camera with me, and I felt nervous about it. The staff told us not to look down if we don’t want to get nervous. But I looked down (just curious) though I was really nervous that time. We are (many) feet high from the ground. I really don’t know exactly how high we are from the ground but it was really high, I can feel the breeze up there. Our time has ended. It was a feel good experience. 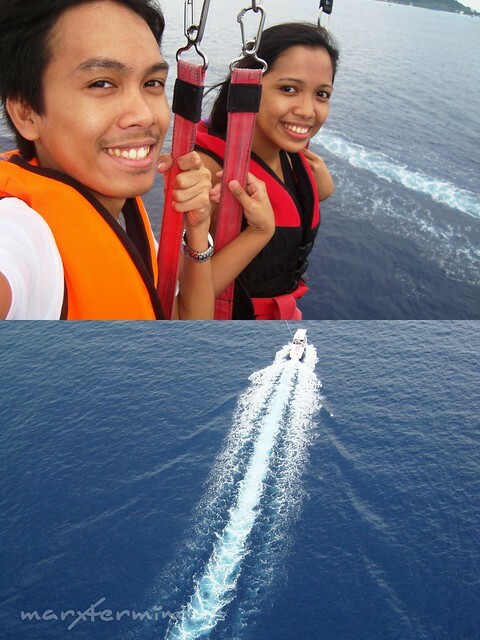 My Best is right, it’s better to experience para sailing if with your loved one. It’s so quiet up there. But if I were to ask if I’m going to experience this one again. No, once is enough for para sailing. It was exciting at first but up there, I found nothing exciting but quietness. Diamond Water Sports also offer service rentals for Jetski, Flyfish, Banana Boat and Speedboat. For rates, you may contact their number, 09216514428. There are a lot of local tour agents / coordinators scattered around Boracay. They’ll give the rates and best adventures to experience in Boracay. I believe its cheaper to negotiate with them than with the company itself. We got Kuya Jerry (09395637886), our activity coordinator. We met him when we were walking to D’Mall on our first day. We asked him about the activities and rates in Boracay, and told him we wanted to do reef walking and ATV only. We scheduled our activity tomorrow morning and told us to text him tomorrow. I have a hang over the next day because of partying last night. But we scheduled our activity at the morning so I need to get up. We texted Kuya Jerry to meet us up so we can have our activity already. 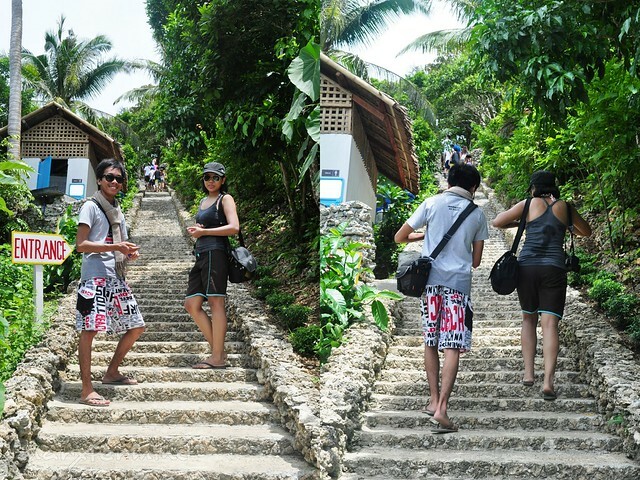 From D’ Mall, Kuya Jerry accompanied us to the back beach. According to him, when the weather is not good at the front Beach (where the Boracay Stations are), all water activities are done at the back beach. I was worried if I can go reef walking while I have my contacts on, but the lady told me it’s OK since the helmet will cover my head down to my shoulder. Anyways, Reef walking costs PHP 350.00 each for 15 minutes which already includes the CD. Before we get into it, we were briefed on what to do 15 feet below sea level. The helmet is heavy but when we’re in the water it became lighter. The helmet is like a magnifying glass. I thought fishes were just in front of me but when I’m about to get them, they are too far from me. An all-terrain vehicle (ATV), also known as a quad, quad bike, three wheeler, or four wheeler. From D’ Mall, we were fetched by a shuttle going to the ATV area. This is another thing I love about Boracay, the free shuttle service from companies that offer adventures. 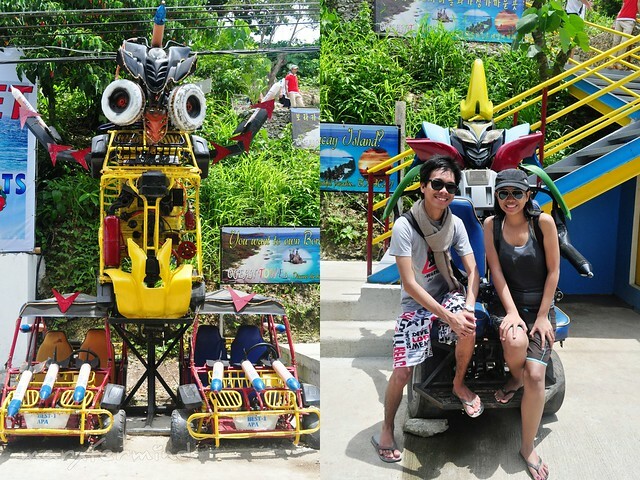 We don’t need to spend for transportation to experience the Boracay adventures. 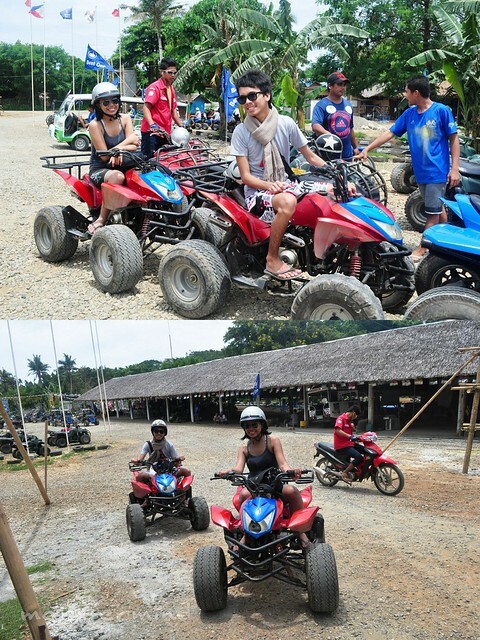 The ATV rental costs PHP 350.00. 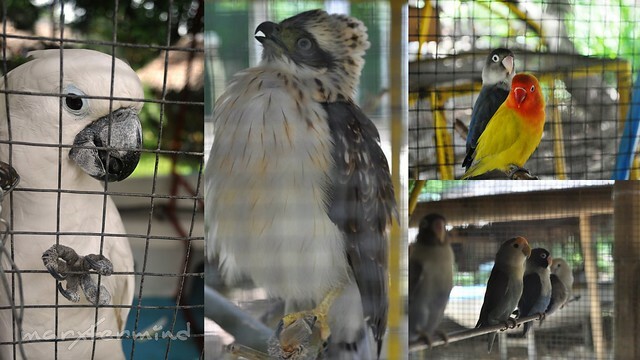 It’s a 1 hour course with two stop overs, the Everland Aviary Farm and Ocean Tower. There’s an entrance of PHP 90.00 for the two attractions. Before we get into it, we were briefed of do’s and dont’s. This is not a race game and no overtaking. Once done with the briefing, we’re off to go! Kuya Jerry was very attentive and caring, sya pa talaga ang kusa na magpipicture sa amin. Photographer lang? The ATV is too easy to drive. And it gets boring sometimes because we need to maintain a moderate speed (this is not a race game). Our first stop over, the Everland Aviary Farm. Nothing much to see here but birds. I’m not a fan of a zoo so I’m not really interested about the place. I would be more happy if these animals are free. Next stop over, the Boracay Ocean Tower. The left side pic is my ATV after transforming, while on the right side is my Best’s ATV after transforming. Just like transformers, right?! Pagbaba namin magiging ATV ulit sila. Si Kuya ATV Guide, nagpapaka photographer din oh! And this is the view from the tower. There are still a lot of adventures to experience at Boracay but we opted to experience the new ones. I know this will not be my last time here, that’s why I’m not eager to try everything (honestly gipit na din ako sa budget… hahaha). Boracay is not just a beautiful island but a beautiful place of kind-hearted locals as well. I observed locals were not “makulit” when they offer their service, if no, then that’s it. They are not like others who will follow you until the traveler got irritated. I don’t know how Kuya Jerry earned from being an agent or some sort but we gave him a tip. We like his hospitality, kindness and attentiveness to us. He even brought us the CD from the Reef Walking and we had it check at our Guesthouse reception area. Thanks Kuya Jerry! ayos 'to! 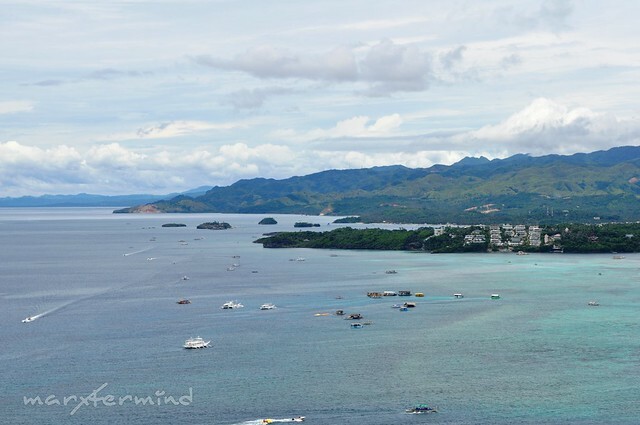 I haven't been to boracay, gusto ko na sya mapuntahan soon, pero unahin ko muna palawan dream ko bago ang boracay! @Jeff, yup bait ni Kuya Jerry. Binabati pa nya kami everytime na makita nya kami naglalakad-lakad sa Station 2! @Kathleen, sayang yung ticket punta ka pa din kahit solo ka or hanap ka kasama, sayang naman! Mga hapon na kami nagparasail para di mainit. 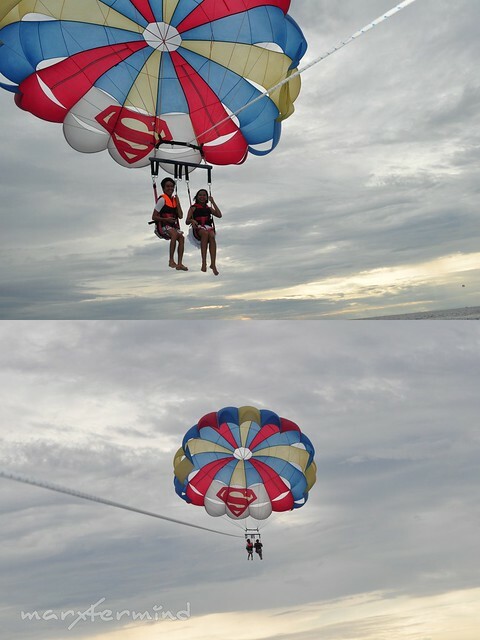 waaa i envy you both.. august sana ako pero d ko trip ang solo backpacker sayang nman ang ticket ko dahil nagbackout ang kasama ko T_T i want to try parasailing and reef walking talaga.. what time kayo nagparasailing? parang malapit nang umulan ah! @Chyng, yup mabigat nga sya hinahawakan ko din kasi baka matumba ako! Hahaha! @Anton, Ako din, gusto ko ulit mag-bora!!! Yung digicam ko lang dinala ko, ayaw kong irisk si SLR. Sa boat din babagsak hindi sa water. i love and miss bora!! !buti nalang babalik ako sa september and I cant wait to get my hands on the parasailing thing.sandali.nadala mo camera mo–diba mahuhulog ka sa water pag bababa na? panu yun? kasi kung diko mabibitbit si nikon ko ayaw ko na mag parasai.sayang ang picture moments from up there diba? hahah! sabi din nung pinsan ko. super bigat nga daw. ang sakit sa ulo. Ayy! wag ipaalala ang diving na yan. Mission Failed. hahahah! next entry na lang yun..
naalala ko bigla si Nida Blanca sa parasailing na yan. hahah! weird. Anyway, try ko pa din. keri sa budget. May isa pa kong gusto, yung Fly fish.. uber fun daw kesa sa banana boat na masakit sa katawan. Salamat sa info. Exchange itinerary tayo. hahaha! 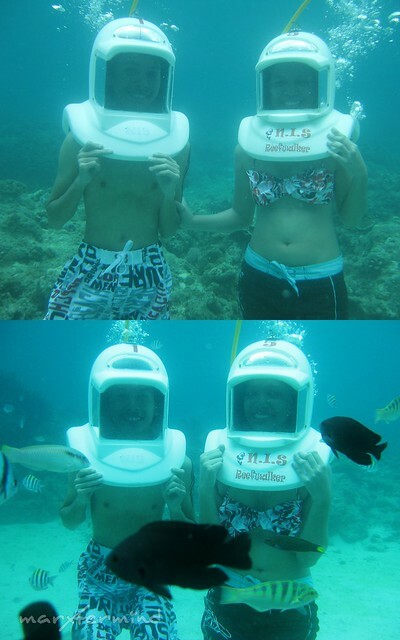 Gusto ko ng mag diving… next time!